Who says your wedding cake has to be white - or even a cake at all? 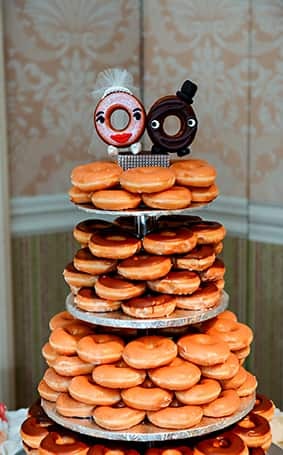 Switch up the recipe with a donut tower "cake" that's as unique as your wedding event. 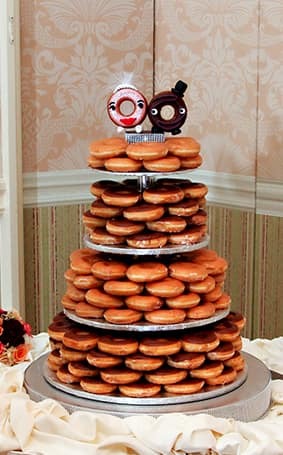 This four tier non-traditional donut tower provides individual desserts for each of your guests with different icing flavors that are sure to please. My absolute favorite part? 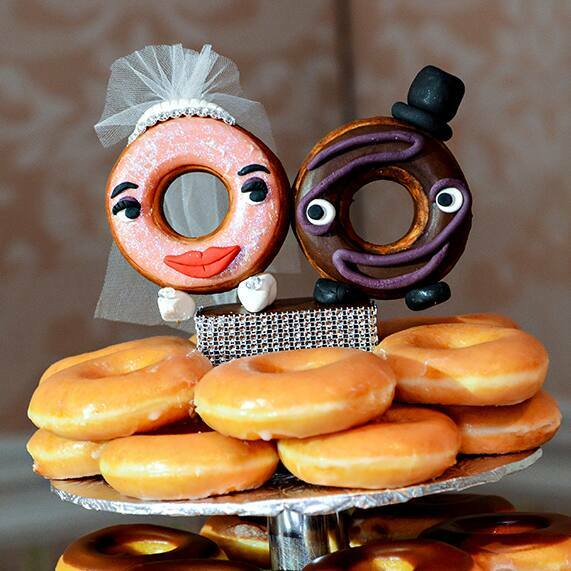 The matching personalized donut topper of course!